Attached are photos of True Father taken on 6-15 HC (August 2, 2012) while visiting the Osan school in Seoul. The photos were taken the day before True Father was admitted to hospital on August 3. Following is translation of the Korean text by Katsumi Kambashi. 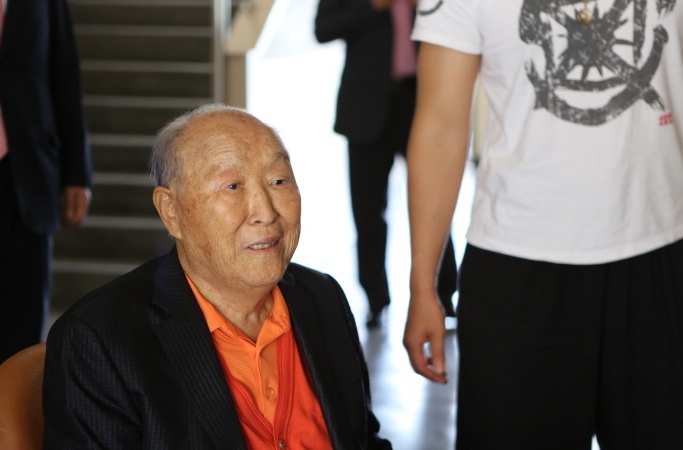 True Father visited Osan School on HC 6. 15 (Aug. 2, 2012). That day, True Father suddenly decided to visit the school and moved to Seoul. He seemed to miss his school years. In the car, he asked to call Chang Yeol Lee who is his cousin on mother’s side (Ex-president of Il Seong construction company), President Seon Jo Hwang, President Nan Young Moon, Vice-president of UBC Ro Hee Park, President Jeong Ro Yoon, Ex-director of Yook-Young Foundation Keun Young Park. Osan school was found by True Father’s great grandfather Yoon Kook Moon and Teacher Sung Hoon Lee in Jeong Ju, North Korea. It was reopened in Busan after the Korean war and re-established in November 26, 1955 in Bo Kwang Dong, Yong San Ku, Seoul. 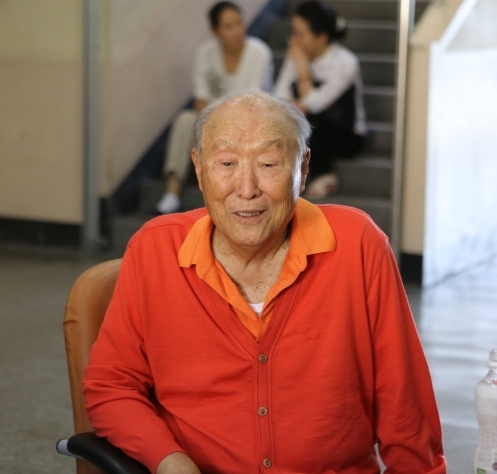 True Father was admitted to Osan School in 1934, at the age of 15 to learn modern science. He had received patriotic education based on Christianity at this school until he was transferred to Jeong Joo school one year later. True Father visited the school at around 5 pm and there was a scorching heat on that day. 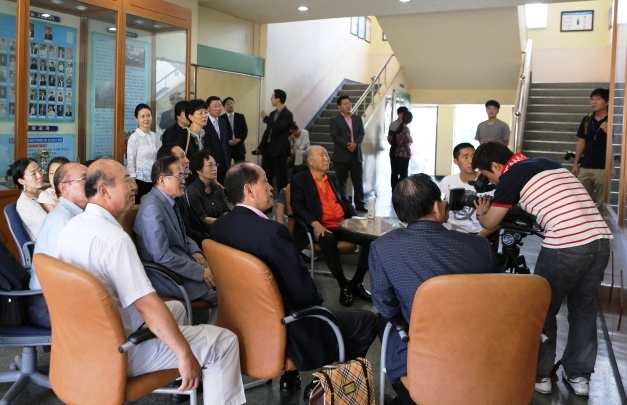 True Father listened to the testimony by Chang Yeol Lee, his cousin on mother’s side and is an Ex-president of Il Seong construction company. True Father recalled his past while listening to the testimony and spoke for 3 hours and returned to Chung Pyung. While speaking that day, he coughed quite often but it didn’t seem to bother him. He kept on speaking to the people who were attending him and they all felt sorry for his condition. Copyright 2019 © HDH Study All rights reserved.